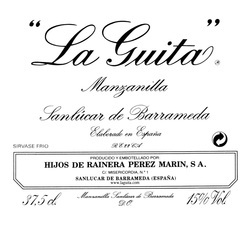 LaGuita [Sanlucar de Barrameda] - VINOS LIBRES "just honest wines"
Manzanilla is Sherry made under "flor' like a Fino but it is made in Criaderas that age in the seaside town of Sanlucar de Barrameda. So to be clear Manzanilla can only be made in Sanlucar de Barrameda. The proximity to the sea gives the Manzanilla a saline quality that Fino does not have. Further, the greater humidity in Sanlucar causes the “flor” to be much thicker during the months of extreme temperature, protecting it better from oxidation. Therefore the biological development is different. As a result, the Manzanilla is lighter than Fino. This wine has a very different nose than fino. The reason that it is called Manzanilla is that it smells like the tea manzanilla, the Spanish name for Camomile. 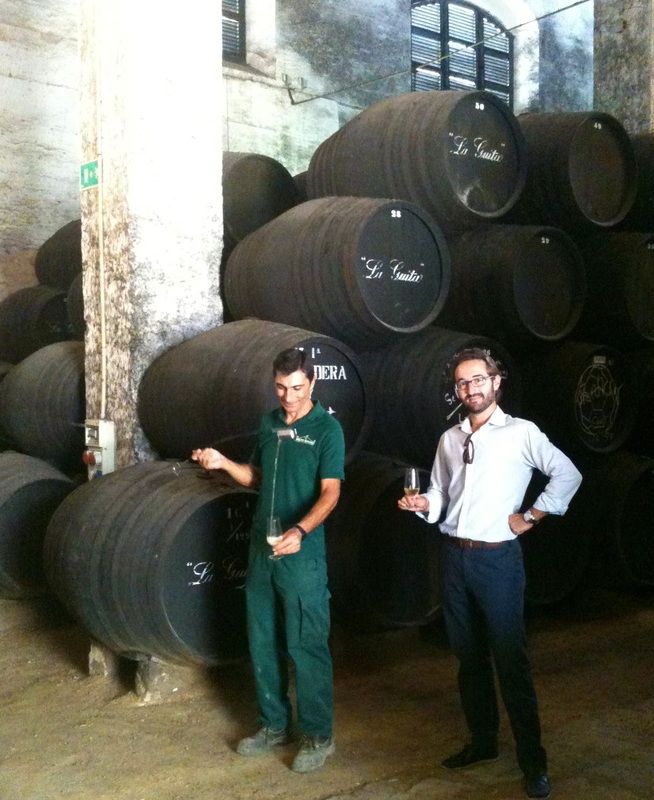 Want to know more on Fino vs Manzanilla? The winery was started by Mr. Domingo perez Marin in 1852. 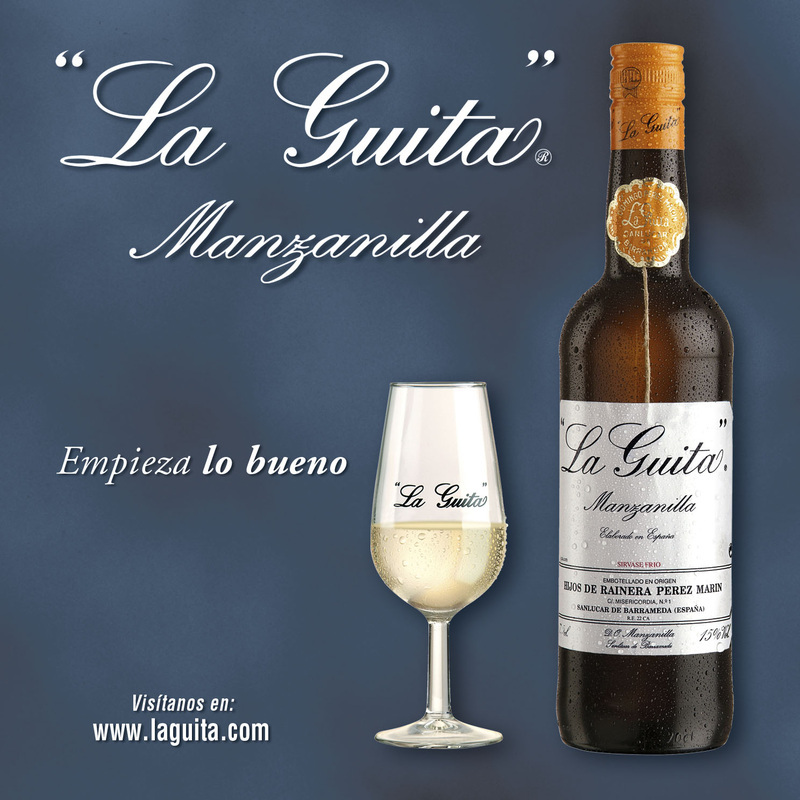 His Manzanilla soon became famous because of its freshness and consistency. But the name evolved because the founder would always ask tienes "Guita" - (got cash) to anyone who wanted to buy from him. Guita in Andalus is slang for cash and also means string. That is why since 1908 the bottle has a bit of string running down the neck from capsule to label. Interestingly, this was the first Manzanilla to carry a bottling date on the back label - so you know it's fresh. 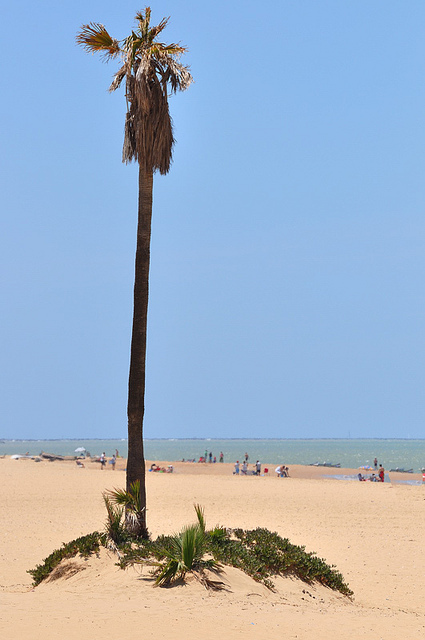 Sanlucar is a coastal town near the Puerto de Santa Maria. It is a short from the some of the most beautiful beaches in Spain that stretch south of Cadiz towards Gibraltar. A local campaign "start whats good" reminiscent of "here's to the good life" - well the product is great anyway and has a justifiably earned reputation among the best Manzanillas in Spain. Sanlucar de Barrameda is about 15 miles NW of Jerez de la Frontera where Fino is made but its proximity to the sea creates a very different wine altogether. In keeping with LaGuita's history of freshness we have decided to import LaGuita four times a year - in step with the four big seasonal "Sacas" perfomed by the Capataz. Saca comes from sacar in spanish which means to remove - this is the term used for the process of removing a portion of all the solera casks blending then bottling. It is interesting to note that the "flor" on the Manzanilla is influenced by temperature, moisture and other climactic conditions and therefore will influence the personality of the Manzanilla each season. Soak the clams in water with a little sugar for about two hours to get all the sand out, changing the water about every ½ hour. Start with olive oil in the pan on a medium flame, add the garlic sliced, when it is slightly golden add (in this order) the paprika and stir it and then quickly add the flour (otherwise the paprika can burn) and stir it around. Then add the clams, the wine and the chopped parsley. Add salt to taste. Let this cook on a medium flame until the clams open, then it is done. If cooked in the “cazuela” it can be served in that. Make sure you have a lot of bread to dunk.